Gran Bel Fisher is among the entertainers at the event. The event features a wide variety of family fun. Sabina Family Fun Night will be held on Saturday, June 27 from 4-9 p.m. in Sabina on North Howard Street. This year’s entertainment lineup is Back In Time Express, Candie Rhodes with Zak and Friends, Jeremie Wayne, and well-known local artist Gran Bel Fisher (Jesse Littleton of Sabina). 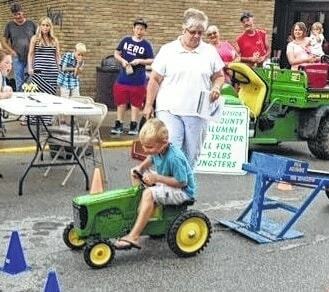 This year’s event will include a cruise-in, bike show, tractor show, and market. In addition there are many activities for children including games, an obstacle course, and pedal tractor pulls. The event is free to attend.